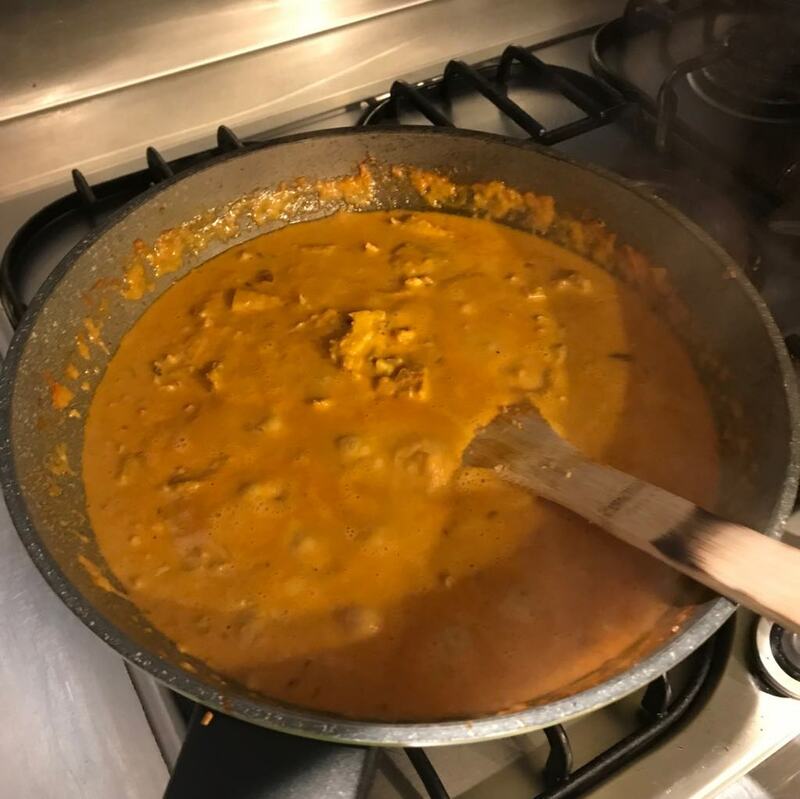 Yet another Indian favourite of mine, this chicken korma recipe is probably one of the the easiest curries to like. It’s creamy, sweet but also savoury, and the addition of nuts just give it a tasty crunch. The night before, marinate the chicken in the first measure of yoghurt, salt and pepper, fenugreek, garam masala, garlic and ginger. Cover and leave in the fridge over night. Turn the oven to 220°C fan-bake. Line a baking tray with baking paper and place chicken across the baking paper. Cook for about 10 minutes, or until the chicken is starting to char. Cut the chicken into cubes. Chop the almonds and cashews finely. Heat oil in a large pan over a medium heat and add onion, almonds and cashews stirring continuously so it doesn’t stick to the bottom of the pan. Cook until almost brown. Add garlic and ginger and cook until softened and browned. Mix in turmeric, garam masala, salt and fenugreek and continue cooking until you start to smell the spice aromas. Stir though tomato and tomato paste and cook until the oil starts to separate from the onion and spice mixture. Add the sliced chicken and cook until the chicken is heated through (about 5 minutes). Turn heat down low and add the cream and milk. Slowly increase the heat, making sure the mixture doesn’t curdle. Carefully pour the boiling water in and cook until water and cream come together and sauce begins to bubble. 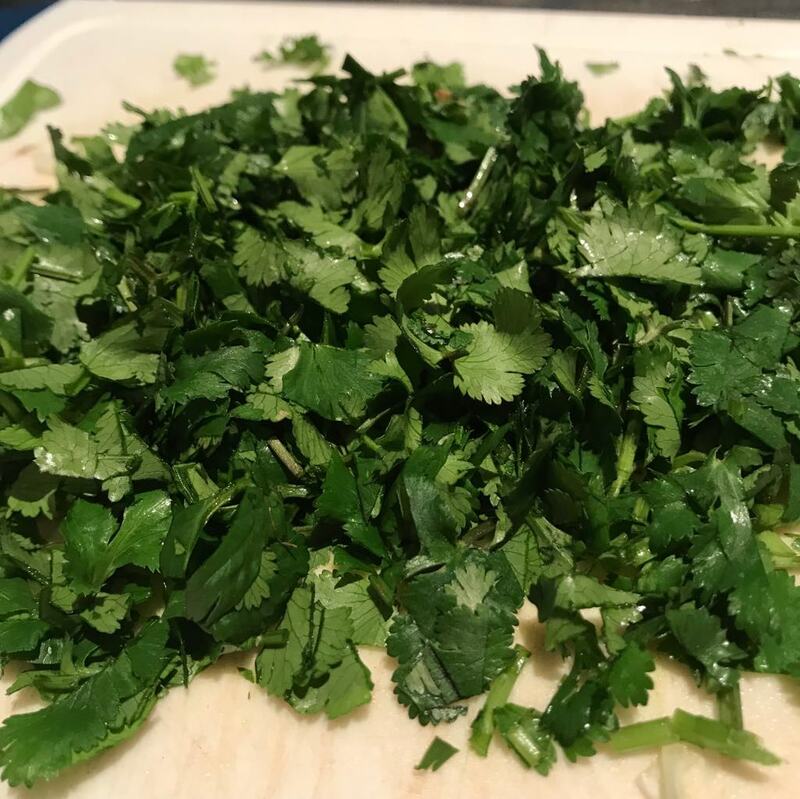 Serve with rice and garnish with almonds and coriander.